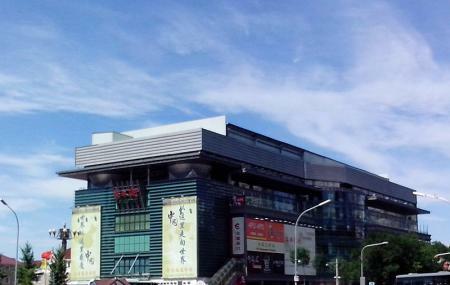 Silk Street is simply paradise for shopaholics; the place is one of the best and biggest shopping destinations in whole of Beijing. So if you are someone who loves to shop then visiting this place becomes a must. Due to its popularity and ambience the street attracts approximately 20,000 visitors daily. There are more than 1,700 retail vendors and over 3,000 salespeople in the area. The street has everything that you might need; from toys to handicrafts the destination is a one stop-shop for all your needs. The place can get crowded. Take the subway from Yong'anli. Take a bus from Wing North intersection. How popular is Silk Street? People normally club together Guanghua Lu and Fragrant Hills Park while planning their visit to Silk Street. People also prefer to end their day with Silk Street. An interesting, modern market place to purchase some souvenirs and cheap knock offs. Make sure you get your haggling skills down to get the best deals, if you are looking to get the best deals would recommend going later at night as the shop keepers will be more likely to drop their price knowing that their store will be closing soon. Having visited this place several times over the last few years this shops are getting more expensive as there is a higher influx of tourists here but you can still bag some superb deals! A decent place for quick hopping of souvenirs and some clothing. Only tip - Bargain Heavily. Reduce 70-80% price straight away. Many kind of store here ... if wanna looking for merchandise in here there are many kinds of good things. Branded outlet also you can find it here. I’m really surprised... As most of the stuff looked real and are stable enough. The shop owners do everything to sell their items e.g. this lady threw a suitcase on the ground, they burned wallets to proove they were real leather etc. Silk Market Beijing, aka Silk Street, Xiushui Street or Xiushui Market, is a prosperous shopping market in the city, located at No. 8 East Xiushui Street, Chaoyang District. Used to be an outdoor market, it now becomes a shopping mall, which accommodates over 1,000 retailers and is regarded as one of the symbols of Beijing together with the Great Wall, the Summer Palace, and roast duck. Many foreign visitors, including some celebrities, enjoy Silk Market Beijing for shopping or having their clothes tailor-made. The former president of the US, George Bush, once went there with his daughter to buy some silk robes, and the wife of Jacques Rogge (8th President of the International Olympic Committee) also went there to buy traditional Chinese dough figurines. Although there are a variety of goods in Xiushui Street, the most attractive goods are silk. Even a silk museum was built on the third floor. 18 retailers who have been offering high quality silk over many years are located there, including some time-honored Chinese brands like Ruifuxiang, Shengxifu, and Neiliansheng. Ruifuxiang specializes in making high quality silk. Predominantly making caps, Shengxifu, a ninety-year-old shop, is famous for its selection of material and handmade craftsmanship. And Neiliansheng, established in the Qing Dynasty (1644 - 1911), is famous for its Chinese cloth shoes. On the third floor, you can buy authentic Chinese silk clothes like Tangzhuang suits and cheongsams. Or you can have the tailor's shop make something for you or someone in your family in no time. One can also experience the traditional methods of silk making in the Silk Museum, and learn about this ancient Chinese art. As well as silk, other traditional Chinese articles like tea, porcelain, Chinese paintings and calligraphy, Chinese jade, etc. are available on the fourth floor. Some specialty Chinese skills can be found on this floor, such as palm painting.